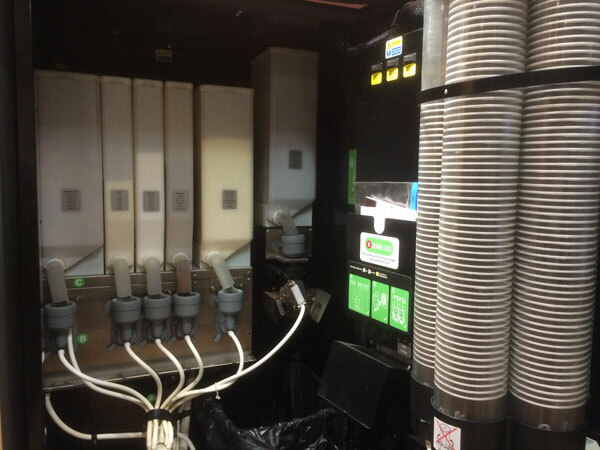 Wilkes Vending specialises in the operated vending market and currently fill, clean, repair and maintain over 3000 Hot Drink, Snack and Cold Drink Vendors across the North. Our fleet of 45 highly experienced engineers and operators provide the utmost attention and paramount service to customers large and small. Firm, scheduled regular visits by trained route personnel to fill, clean and sanitise equipment. The use of first-class proprietary brand products as recommended for automatic vending machines. A comprehensive and continual programme of preventative maintenance by fully trained Engineers to ensure machine reliability. The correction of emergency breakdowns and the supply of spare parts as required. Scheduled inspection programme by trained supervisors to ensure high standards of machine hygiene and sanitation. All our route operators are health and hygiene accredited. Our service engineers are available via mobile communication and each vehicle is fitted with a live tracking device to ensure a prompt and immediate. Our operating practices are under constant review as we strive to outperform our competitors in every way. Pioneering initiatives such as “Engineer Cam” provide up-to-date digital images for quality assurance and instant diagnostics. Our three strategically located depots and fully stocked mobile engineers provide an unrivalled 2-3 hour response time and 95% first time fix rate. In addition to our fully managed service, we also provide equipment on a rental basis to provide our customers with an additional profit centre. Our customer care centre provides comprehensive technical support when required.